1 A None No Power Seat 1 A is an Economy Class Bulkhead seat whose close proximity to the galleys may be bothersome. The tray table is in the armrest, making the armrest immovable and slightly reducing seat width. There is no floor storage for this seat during take-off or landing. 1 B None No Power Seat 1 B is an Economy Class Bulkhead seat whose close proximity to the galleys may be bothersome. The tray table is in the armrest, making the armrest immovable and slightly reducing seat width. There is no floor storage for this seat during take-off or landing. 1 C None No Power Seat 1 C is an Economy Class Bulkhead seat whose close proximity to the galleys may be bothersome. The tray table is in the armrest, making the armrest immovable and slightly reducing seat width. This seat also has an immovable aisle-side armrest, so both armrests are immovable. There is no floor storage for this seat during take-off or landing. 10 B None No Power Seat 10 B is an Economy Class Exit Row seat that has recline, unlike others on this aircraft. There is no floor storage for this seat during take-off or landing. 10 C None No Power Seat 10 C is an Economy Class Exit Row seat that has recline, unlike others on this aircraft. There is no floor storage for this seat during take-off or landing. 10 D None No Power Seat 10 D is an Economy Class Exit Row seat that has recline, unlike others on this aircraft. There is no floor storage for this seat during take-off or landing. 10 E None No Power Seat 10 E is an Economy Class Exit Row seat that has recline, unlike others on this aircraft. There is no floor storage for this seat during take-off or landing. 11 A None No Power Seat 11 A is an Economy Class Exit Row with extra legroom due to the missing seat ahead. The tray table is in the armrest, making the armrest immovable and slightly reducing seat width. There is no floor storage for this seat during take-off or landing. 11 B None No Power Seat 11 B is an Economy Class Exit Row with normal legroom. The tray table is in the armrest, making the armrest immovable and slightly reducing seat width. There is no floor storage for this seat during take-off or landing. 11 C None No Power Seat 11 C is an Economy Class Exit Row with normal legroom. The tray table is in the armrest, making the armrest immovable and slightly reducing seat width. There is no floor storage for this seat during take-off or landing. 11 D None No Power Seat 11 D is an Economy Class Exit Row with normal legroom. The tray table is in the armrest, making the armrest immovable and slightly reducing seat width. There is no floor storage for this seat during take-off or landing. 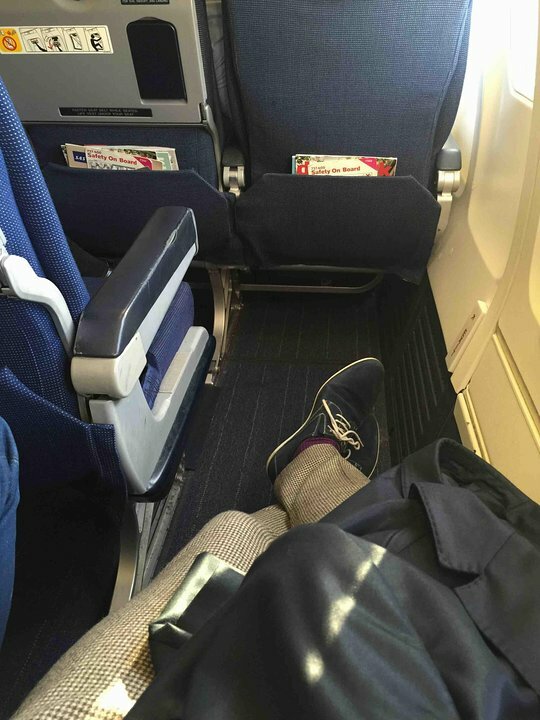 11 E None No Power Seat 11 E is an Economy Class Exit Row with normal legroom. The tray table is in the armrest, making the armrest immovable and slightly reducing seat width. There is no floor storage for this seat during take-off or landing. 11 F None No Power Seat 11 F is an Economy Class Exit Row with extra legroom due to the missing seat ahead. The tray table is in the armrest, making the armrest immovable and slightly reducing seat width. There is no floor storage for this seat during take-off or landing. 2 D None No Power Seat 2 D is an Economy Class Bulkhead seat whose close proximity to the galleys may be bothersome. The tray table is in the armrest, making the armrest immovable and slightly reducing seat width. This seat also has an immovable aisle-side armrest, so both armrests are immovable. There is no floor storage for this seat during take-off or landing. 2 E None No Power Seat 2 E is an Economy Class Bulkhead seat whose close proximity to the galleys may be bothersome. The tray table is in the armrest, making the armrest immovable and slightly reducing seat width. There is no floor storage for this seat during take-off or landing. 2 F None No Power Seat 2 F is an Economy Class Bulkhead seat whose close proximity to the galleys may be bothersome. The tray table is in the armrest, making the armrest immovable and slightly reducing seat width. There is no floor storage for this seat during take-off or landing. 22 A None No Power Seat 22 A is an Economy Class seat whose close proximity to the galley and lavatories may be bothersome as passengers often congregate in this area. 22 B None No Power Seat 22 B is an Economy Class seat whose close proximity to the galley and lavatories may be bothersome as passengers often congregate in this area. 22 C None No Power Seat 22 C is an Economy Class seat whose close proximity to the galley and lavatories may be bothersome as passengers often congregate in this area. 22 D None No Power Seat 22 D is an Economy Class seat whose close proximity to the galley and lavatories may be bothersome as passengers often congregate in this area. 22 E None No Power Seat 22 E is an Economy Class seat whose close proximity to the galley and lavatories may be bothersome as passengers often congregate in this area. 22 F None No Power Seat 22 F is an Economy Class seat whose close proximity to the galley and lavatories may be bothersome as passengers often congregate in this area. 23 B None No Power Seat 23 B is an Economy Class seat in the last row of the plane that may feel cramped. The close proximity to the galley and lavatories may be bothersome as passengers often congregate in this area. 23 C None No Power Seat 23 C is an Economy Class seat in the last row of the plane that may feel cramped. The close proximity to the galley and lavatories may be bothersome as passengers often congregate in this area. 4 F None No Power Seat 4 F is an Economy Class seat with a misaligned window. 5 A None No Power Seat 5 A is an Economy Class seat with a misaligned window. 9 A None No Power Seat 9 A is an Economy Class seat that has recline, unlike others on this aircraft. 9 B None No Power Seat 9 B is an Economy Class seat that has recline, unlike others on this aircraft. 9 C None No Power Seat 9 C is an Economy Class seat that has recline, unlike others on this aircraft. SAS Airlines offers a variety of audio selections. SAS always serves complimentary coffee, tea, and water onboard regardless of the time of day. 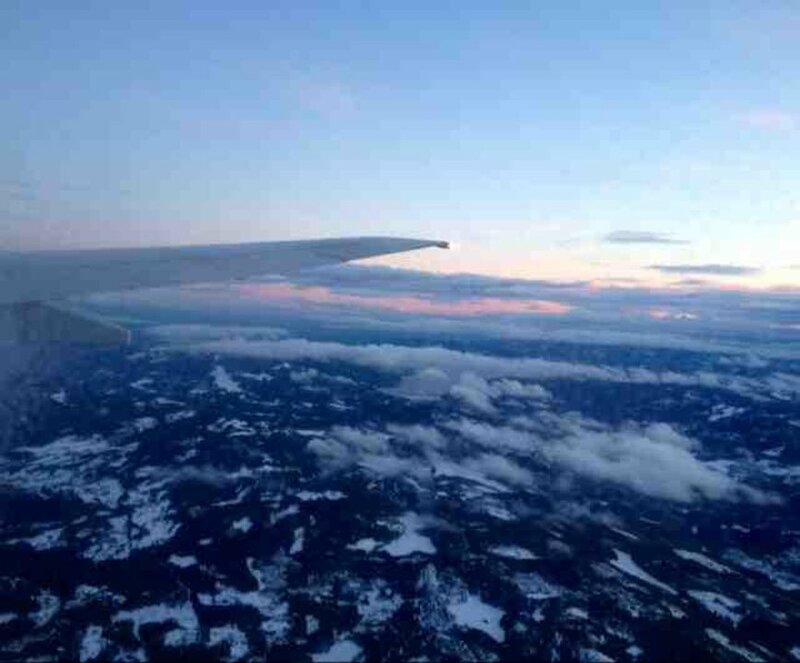 On domestic flights in Sweden, Norway, Denmark and Finland, SAS offers breakfast on flights departing from 6-9am. 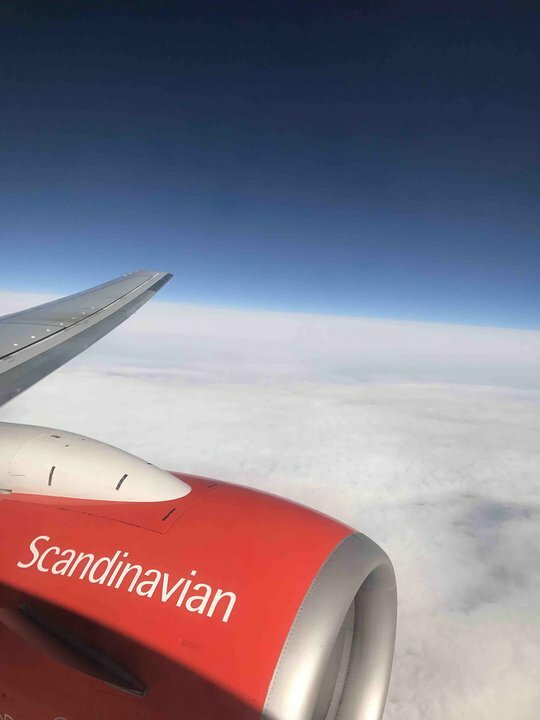 After 9am and throughout the rest of the day, passengers can purchase a large selection of sandwiches, meals and salads, and a variety of carbonated beverages from the SAS CloudShop, Our Café. 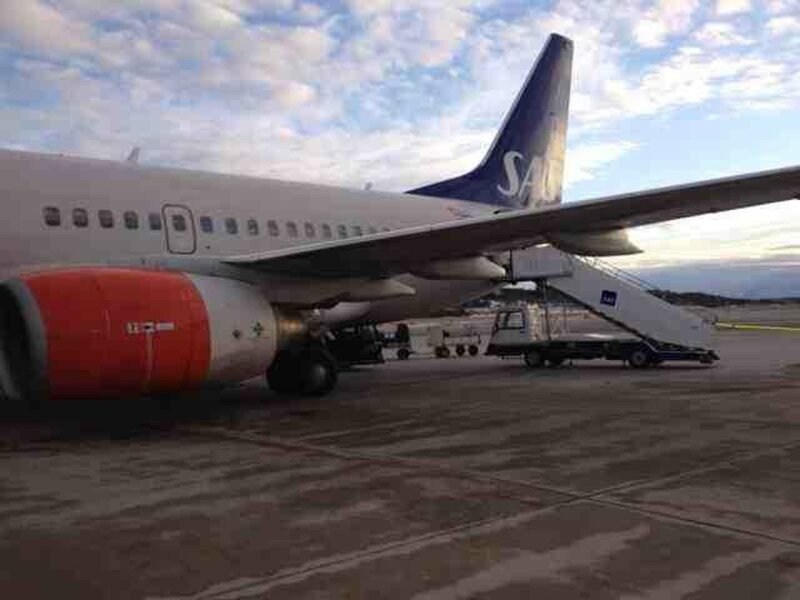 SAS flies the Boeing 737-600 in two different configurations. This version has 123 seats in a one-class configuration of Economy. Passengers traveling with the SAS Go services receive the following benefits: tickets can be changed for a fee, 24-hours money-back guarantee, 1 piece of baggage up to 50 lb/23 kg per person, child discount, internet check-in by SAS app, SMS or at the airport, mobile boarding pass, choose your seat free of charge up to 22 hours before departure at check-in, newspaper, coffee and tea included, free breakfast before 9am on Nordic domestic flights, food and drinks on board for purchase, WiFi access on board for purchase where available, 100% EuroBonus points. Right armrest missing. Very thin seat cushion. 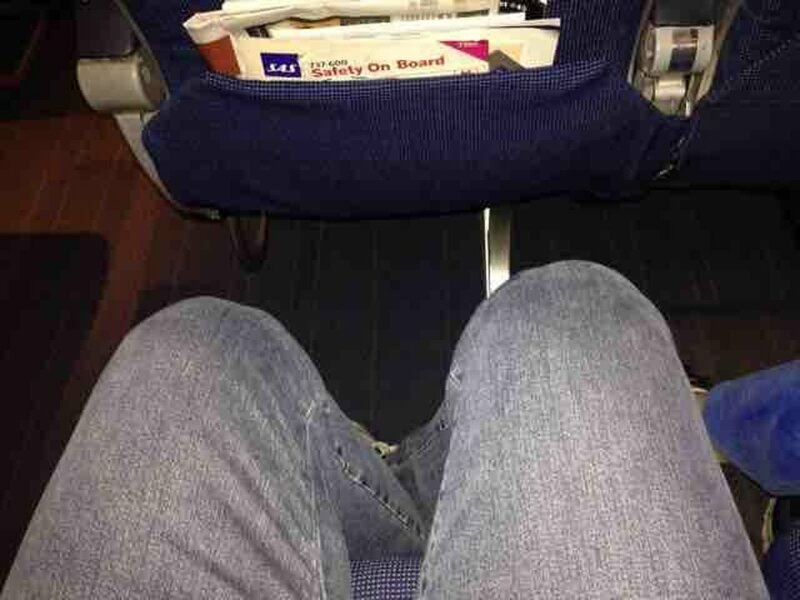 Leg room is acceptable for short flights such as BHX - CPH, however the seats are tired and in desperate need of refurbishment. Great seat for photos! SAS flies 2 versions of Boeing 737-600 V1.